Given the marked territorial dimension of at-risk-of-poverty rates, national level indicators hide important differences. Policies addressing poverty could benefit from a more detailed geographical breakdown of the prevailing situation and of the main determinants. This is why the European Commission has produced a more detailed poverty map in cooperation with ESPON and the World Bank. The at-risk-of-poverty rate is a relative measure of poverty. The poverty threshold is set at national level: someone with a given level of income can be considered at risk of poverty in one country and not at risk in another country where income levels are generally lower. Cross-border interactions within the European Union (EU) still face more obstacles than interactions within national borders. Road accessibility might be only one of these obstacles, but adequate transport infrastructure is necessary to provide access to opportunities. To help improve cross- border cooperation, we assess road transport infrastructure in border regions. Over the last decade, political parties opposed to EU integration have almost doubled their votes. The general opinion of the EU has also deteriorated, revealing a growing number of people who distrust the Union. For the first time, it maps the vote against EU integration in the last national elections across more than 63 000 electoral districts in each of the EU Member States. Rapid and frequent public transport has a big impact on urban economies. It can expand labour markets, offer more opportunities and better accessibility. These benefits are also reflected in the real estate market with (much) higher prices for houses and offices close to metro stations and highly accessible locations. The European Quality of Government Index (EQI), developed by the Quality of Government Institute of Gothenburg University, measures institutional quality at the regional level in the European Union. European Quality of Government Index. The degree of urbanisation typology classifies all local authorities (municipalities) into (1) cities, (2) towns and suburbs and (3) rural areas. A wide range of indicators is produced by Eurostat using this classification. 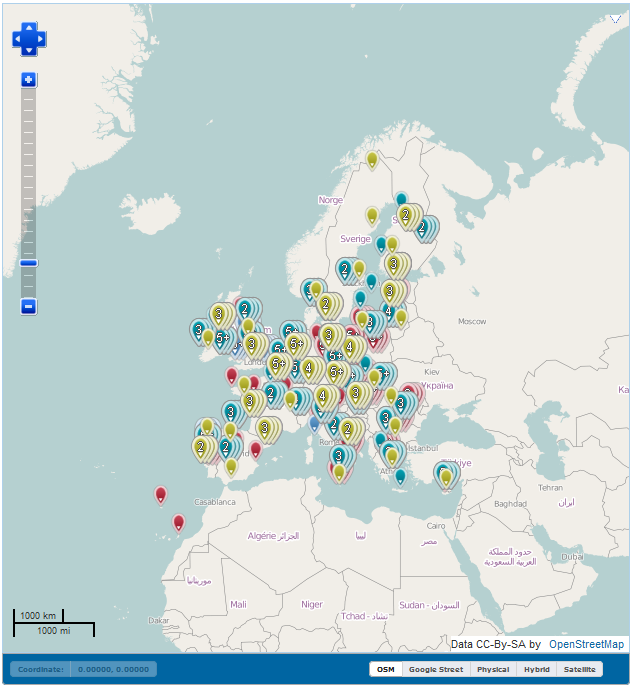 The interactive map allows you to check the classification for any place in the EU. The draft EU regional Social Progress Index aims to measure social progress for each region as a complement to traditional measures of economic progress. As it is intended to complement measures based on GDP, income or employment, it purposely leaves such indicators out of the index. It follows the overall framework of the global Social Progress Index and is based on fifty indicators, primarily from Eurostat. 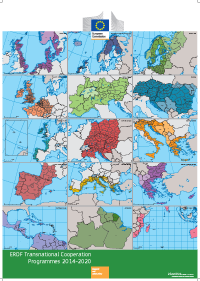 In the Commission's Seventh Report for Economic, Social and Territorial Cohesion a serie of maps shows how European regions compare in a wide range of areas: the economy, social development, the environment, transport, health, education, research and development. 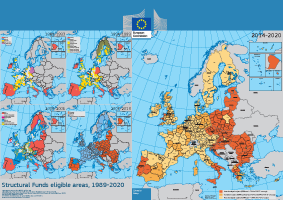 Watch this short clip to see how the regions eligible for EU regional funding have evolved over the period 1989-2020.